On Friday in Shanghai it was announced that both Mercedes and Red Bull had to make changes to their front wings after they were deemed illegal by the FIA. Mercedes’ wing, new for China, featured a revised endplate designed to open up the space between the wing and the front tyre and thus improve outwash. The FIA ruled it illegal as the regulations state that all main elements of the front wing must not be visible when viewed from the side. 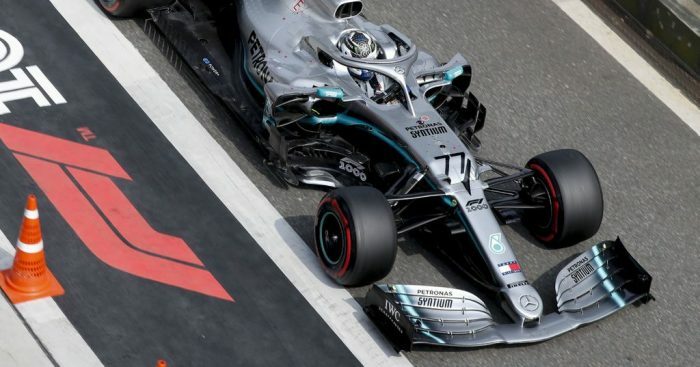 Despite having to change wings, Mercedes were 1-2 in qualifying for the Chinese GP with Valtteri Bottas taking pole ahead of Lewis Hamilton. Wolff insists losing the revised wing did affected Mercedes aerodynamic performance. “Well, it would be sad if you saw off a front wing and that hasn’t got any impact,” he told Autosport. “Then the aero doesn’t work how it should. He, however, says Mercedes have accepted FIA’s ruling on the wing. “If your interpretation of the rules is different to what the FIA’s interpretation is, you need to accept the sporting authority,” added Wolff. “So it was a bit of a complication to modify hardware components on the field.